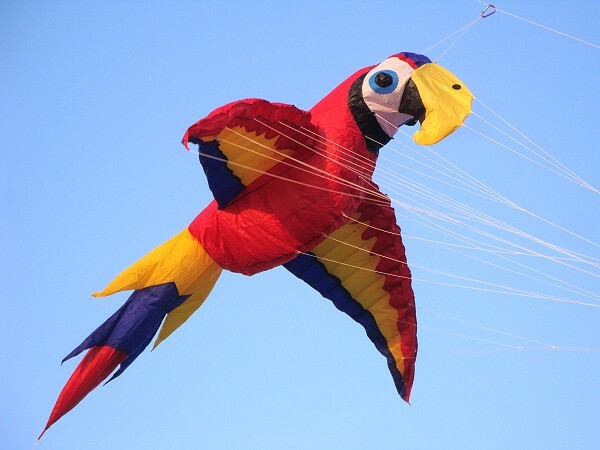 Spectacular three dimesional wind inflated parrot designed by Steffen Gaubatz. Best flown as line laundry using a medium size kite. Pineapple Drogue stabilizer. 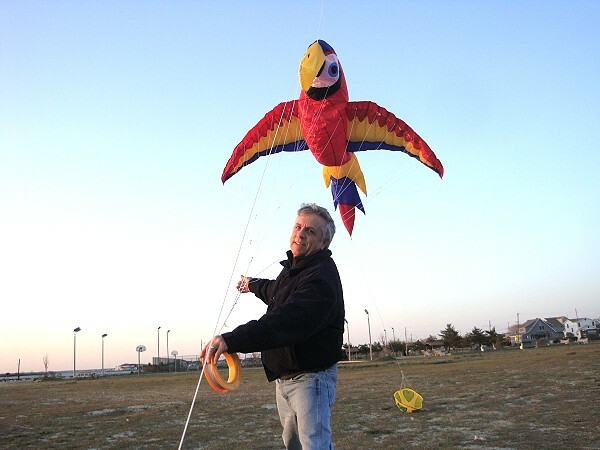 This 9ft Macaw does not produce very much pull and will only need 90lbs to 150lbs line.